0.9% APR FOR UP TO 72 MONTHS PLUS AVAILABLE CREDITS UP TO $2750 ON NEW 2018 MINI COOPER COUNTRYMAN MODELS. EXCLUDES COOPER S, JOHN COOPER WORKS, COOPER S ALL4 AND S E.
*Not available on 2018 MINI Cooper S Countryman, 2018 MINI Cooper S Countryman ALL4, 2018 MINI John Cooper Works Countryman and 2018 MINI Cooper S E Countryman ALL4. Offered through MINI Financial Services by participating MINI dealers through 02/28/18. 0.9% APR offer available to eligible, qualified customers with excellent credit history who meet MINI Financial Services’ credit requirements. Other rates are available. All offers are subject to credit approval and availability from existing retailer inventory. Retailer prices will vary and affect customer cost. A 72 months finance contract for a new 2018 MINI Cooper Countryman model and an APR of 0.9%, requires 72 monthly installments of $14.27 per $1,000 financed. No Down payment required. Taxes, title and registration fees extra. Customer liable for insurance, maintenance and repairs. See your authorized MINI Dealer for complete details. $1,250 APR Cash and $1,500 in-stock allowance available on 2018 MINI Cooper Countryman models which reduces MSRP. Cash may be combined with other offers unless otherwise stated. All new 2018 MINI Passenger Cars come standard with 4-years of MINI Roadside Assistance and begins on the original in-service date. Refer to the MINI Service and Warranty Information booklet for complete terms, conditions and limitations. Visit your authorized MINI dealer for important details. 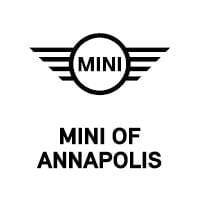 © 2018 MINI USA, a division of BMW of North America, LLC. The MINI name, model names and logo are registered trademarks.